Mission: LDCI is committed to delivering readily accessible pulmonary diagnostic services and therapies; guided by state of the art evidence and research. Fully accredited Level III Pulmonary Function Laboratories in five locations. Two in north Calgary, two in south Calgary, and one in Red Deer. Lung Diagnostic Centres Inc. operates under the medical direction of Dr. Michael Roman, in collaboration with Dr. Willis Tsai. Study interpretations results will be faxed to your office within 48 hours unless otherwise specified. Pulmonary function testing is an insured service covered by Alberta Health. No charges are incurred by the patient. The lab management, staff and physicians are dedicated to delivering the highest standards of excellence. 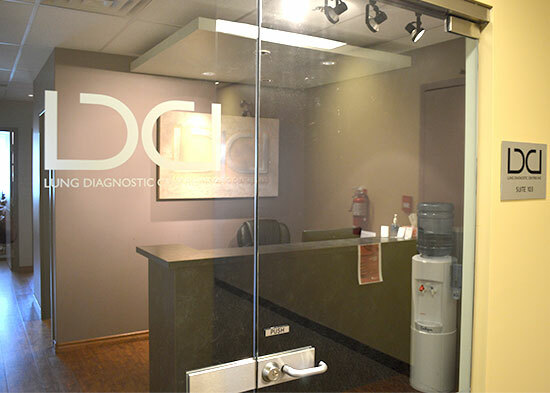 Lung Diagnostic Centres is a division of Maple Respiratory Group.